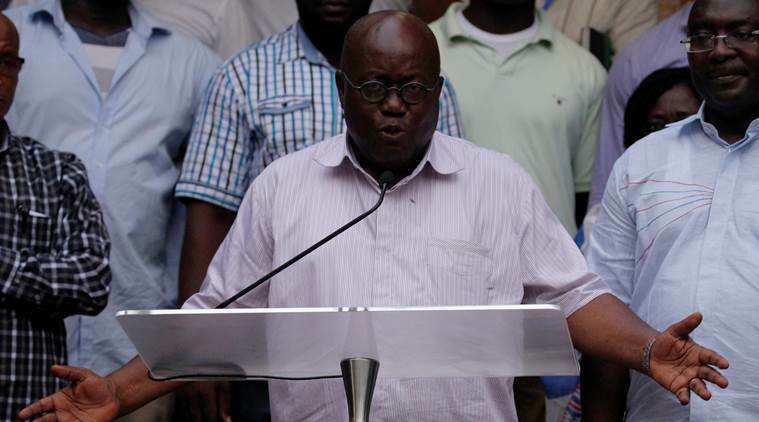 President Nana Akufo-Addo of Ghana issued an apology on Sunday after the new Ghanaian president was accused of lifting passages from speeches by Bill Clinton and George W Bush during his inaugural address to the nation. Not long after his swearing-in ceremony on Saturday in the capital Accra, social media users started pointing out similarities between Akufo-Addo's speech and those delivered by the two ex-US presidents. "Though our challenges are fearsome, so are our strengths. Ghanaians have been a restless, questing, hopeful people. And we must bring to our task today the vision and will of those who came before us," Akufo-Addo said. It echoed Clinton's 1993 inauguration speech: "Though our challenges are fearsome, so are our strengths. And Americans have ever been a restless, questing, hopeful people. We must bring to our task today the vision and will of those who come before us." In another instance, Akufo-Addo said: "I ask you to be citizens: citizens, not spectators; citizens, not subjects; responsible citizens building your communities and our nation." In his 2001 inaugural speech, Bush said: "I ask you to be citizens: citizens, not spectators; citizens, not subjects; responsible citizens building communities of service and a nation of character." The presidency's communication director acknowledged the plagiarism and offered an apology. "I unreservedly apologise for the non-acknowledgement of this quote to the original author. It was a complete oversight, and never deliberate," Eugene Arhin said, according to DPA news agency. 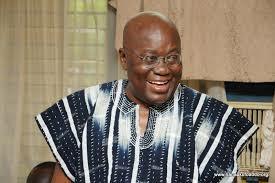 Akufo-Addo, a 72-year-old former human rights lawyer, defeated incumbent John Dramani Mahama in elections last month. In September, Nigerian President Muhammadu Buhari also issued an apology for plagiarising quotes from US President Barack Obama in a speech promising change in the West African country. Buhari's office said at the time a paragraph in the speech urging Nigerians not to fall back "on the same partisanship, pettiness and immaturity that have poisoned our country so long" was copied from Obama's victory speech after his election in November 2008. "It was observed that the similarities between a paragraph in President Obama's 2008 victory speech and what President Buhari read in paragraph nine of the 16-paragraph address ... are too close to be passed as coincidence," Buhari's office said in a statement.